Patrick is a native of northeast Ohio who graduated from Perry High School in 1999. In 2004 he married his high school sweetheart, Sarah Nelson. In 2004 he also graduated from Kentucky Christian University with a double major in Youth/Family Ministry and Bible, and minors in History, English and Preaching. Patrick has held various leadership roles within the local church and community including interim senior pastor, youth minister, foreman for landscaping company and intern at a local church plant in Cleveland. Patrick and Sarah have three boys, Micah, Dominic and Jude. Neal grew up in Ravenna, Ohio where he met his future bride, Joy Kindig, in the kindergarten class at church. 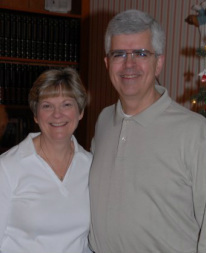 They were married following their sophomore year in college and both graduated from Ohio University in 1976. 10:10 fulfiment by working in the community with other followers of Christ. ﻿ Scott Honess is the New Works Pastor for the campuses of Prince of Peace Church and works to develop new ministries, disciple making, leadership training and church planting opportunities. This role utilizes his apostolic gift of seeking out new territory and cultivating incarnational communities founded on the belief that the best way to share the love of Jesus Christ is by accepting, listening, living, loving and sharing life right where people are at. Asking the simple question, "How can we help?" has been a key to seeing this happen. Scott has helped develop and launch multiply ministries including Hearts 2 Hands, Life Recovery Group, UNO Chesterland and Iron Disciples Motorcycle Ministry, among other. 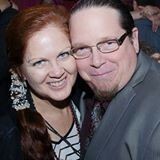 Scott's partner in ministry and life is Sally, his wife of nearly 25 years. Together they have two grown children and two grandchildren. They reside in Mentor with their two four-legged daughters Sady and Sammi where Sally is completing her Masters Degree in Nursing. Curt received his B.A. in Business with an emphasis in Finance from Baldwin-Wallace University and a Master in Divinity from Ashland Theological Seminary. 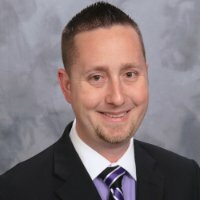 After serving the United Methodist Church as a local pastor for 7 years Curt has recently stepped into the financial field. Today Curt is a representative with Thrivent Financial, a Christ centered organization focused on helping their members to "be wise with money and live generously." 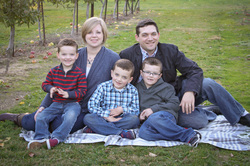 Curt and his wife, Michelle, have three children; Caleb, Malachi, Gideon and Jericho. As a family they enjoy Cleveland sports and connecting people with Christ.